As you’re questing in WildStar, you’ll find many different types of interactive items. 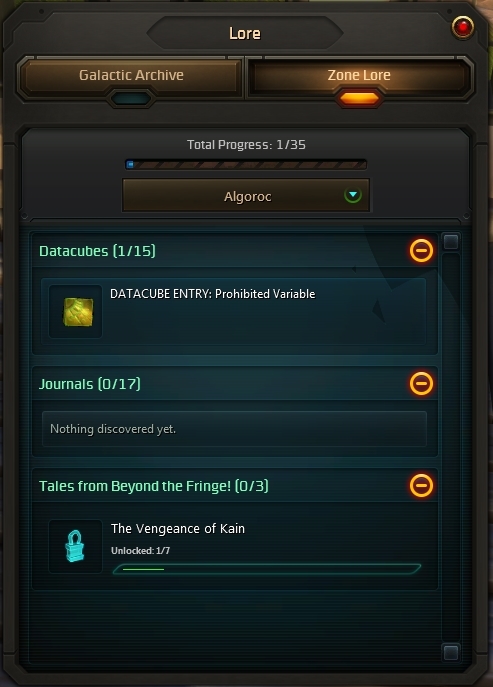 Datacubes will play audio snippets of lore, journals will uncover entertaining stories about your current zone, and some items will start challenges. My favorite of the interactive items is the tablet known as Tales from Beyond the Fringe. 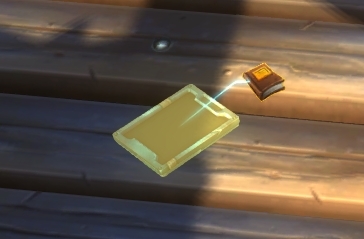 These TALES tablets can be found in almost every zone on Nexus. A book icon makes them easier to spot. Once you click on the first TALE in the series, an entry will open in your Lore menu that shows how many parts the series contains. When you’ve discovered all of the parts of a series, it will unlock that “Tale from Beyond the Fringe” story. Even better than the story (in my opinion), is the housing item that is also unlocked when you complete a TALE. Each one has an associated travel poster that can be purchased from the housing vendor on your housing plot. You can use these posters to decorate your house any way that you want! For example, I used some of mine as movie posters in my plushie movie theater. Plushies enjoying a night at the movies! 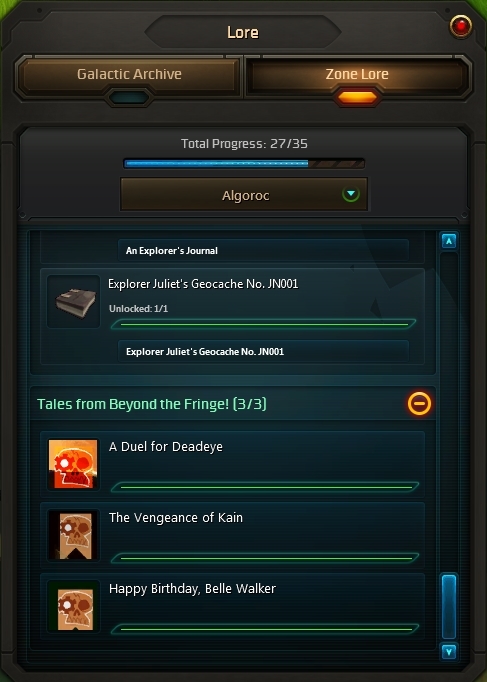 If you are working on collecting all of the TALES or looking for a specific poster for decorating purposes, check out my Tales from Beyond the Fringe guide (Exiles only so far). Have fun collecting!